Every week we’ll be doing a feature on a game that we’re looking forward to here at PSU. Chiefly, these games will tend to be upcoming titles that haven’t been given a lot of press, and as such, we quickly go about breaking down what the game is about and what we’re looking forward to about it. This week, we’ll be taking a look at Generation Zero from Just Cause developer Avalanche Studios. Generation Zero – What is it about? It’s 1980s Sweden and mysteriously, everyone has vanished into seemingly thin air. In their place are machines, murderous machines who have made it their apparent purpose to exterminate anyone who remains. After returning from a road trip with your friends it is up to you address this new threat; forming together a band of rebels who must engaging in guerrilla warfare and pick off these machines one by one until not only none remain, but also until the purpose of the invaders become clear. Generation Zero very much emphasizes teamwork and squad strategy above all things. 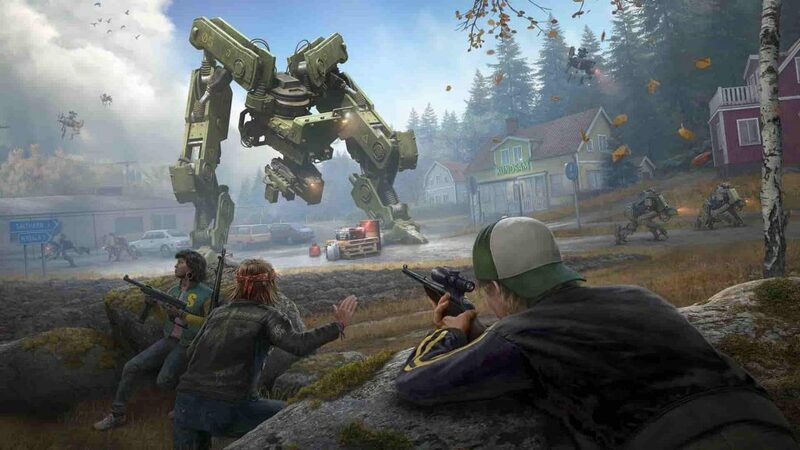 A survival-tinged, open-world FPS, imagine Future War Terminator if it was set in still idyllic rural townships of 1980s Sweden and you’ve pretty much got the right idea about what to expect from Generation Zero. Generation Zero – What do we like about it? 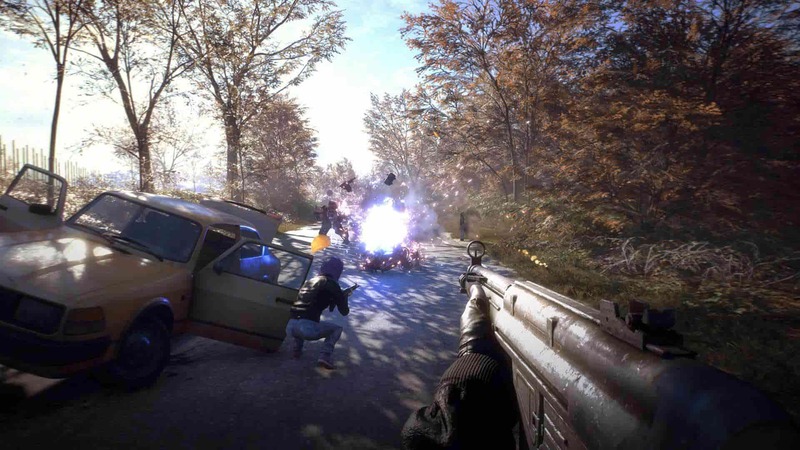 Though Avalanche Software are best known for their hyper-kinetic, furiously loud shooter series Just Cause, Generation Zero really couldn’t be anymore different than the high-flying, face-blasting shenanigans of Rico Rodriguez. 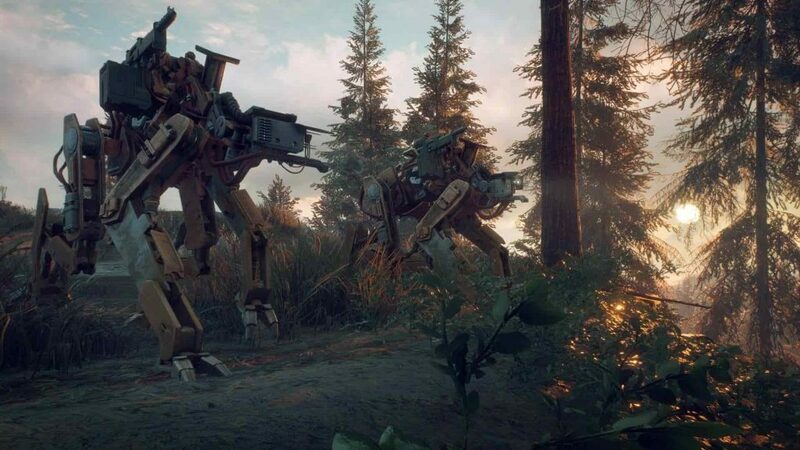 There are a wide range of different robots to tangle with Generation Zero – each boasting different attributes that cement their position as apex predators. A much more thoughtful and methodical affair, though Generation Zero clings fairly closely to the sort of established open-world template that folks might be familiar with, where there are no shortage of main missions, side missions, collectibles and other things to keep you busy, it freshens up the status quo with the premium it puts on survival based gameplay. The robots you face are a terrifyingly powerful and intelligent group of foes who are single-minded in their desire to find and kill every human they can. As such, this means players must join arms with one another to combat this threat, crafting traps, new gear and effecting smart flanking strategies to get the better of the encroaching machine menace. Then there is the setting too. Generation Zero makes great use of its 1980s time period by allowing players to change their appearance to mimic the styles that were all the rage at the time. All in all, Generation Zero is looking like a resolutely smart, co-operative tactical survival shooter that is best enjoyed with friends – and we can’t wait. Generation Zero – When does it come out? Generation Zero is currently set to release on PS4, PC and Xbox One on March 26, 2018. Prior to the release of Generation Zero however, you can catch the latest trailer for it below. Published and developed by Avalanche Studios, Generation Zero releases for PS4, PC and Xbox One on March 26, 2019.